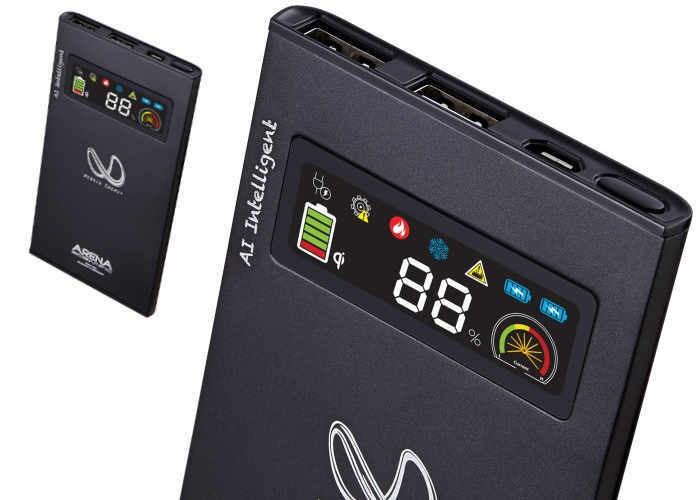 If you need to constantly top up your smartphone or mobile devices you may be interested in a new quick charge portable battery pack which has been created by Gadget Creative and comes equipped with a colour display making it easy to monitor its status. Watch the video below to learn more about this ultra slim aluminium encased quick charge 5,000 mah portable battery pack which measures just 9.4 mm in thickness and includes 12 safety features as well as supporting Quick Charge 3.0 technology. The team of developers responsible for creating the new battery pack explain a little more about its inspiration, features and technology. The latest Quick Charge technology can decrease the amount of time you spend tethered to an outlet. Using certain Snapdragon-powered devices with a Quick Charge certified power bank and any USB connector, you can refill the battery of enabled devices up to 4X faster than with conventional charging. Powering your journey You don’t have to be worried about running out of power anymore. Wherever you are, whatever happens, AI QC3.0 portable chargers are always ready for the journey. Explore the features of chargers and energy batteries Power your devices with a high output current of at least 2.4A for fast charging. Colour LCD Display on all models and some of them have a Full indicator so you can check at a glance the remaining charge. With the high power output, selected models let you charge multiple USB devices at a same time, or simultaneously charge your Portable Charger and your device using the pass-through function. Jump over to the Kickstarter website to make a pledge from HK$ 230 roughly £24 or $30.